Named the fastest growing town in Africa by the United Nations, Nakuru is rivaling Nairobi’s development agenda with the speed and aggressiveness at which it is embracing new technology. Recently, Nakuru was the first Kenyan town to offer residents free street Wi-Fi. The town has now seen a surge in demand for the cashlite system, in a drive that has been spearheaded across the county by 3NTO, Bahama, Naloki, Phase Two Sacco, and Highway Travellers. These SACCOs mainly ply the Nairobi, Nakuru, Naivasha, and Lanet routes. According to reliable information, in the last three months, Nakuru has recorded a faster adoption rate of the cashlite fare system 1963, than Nairobi. Currently, 16 of the county’s Matatu SACCOs, managing over 700 vehicles have already converted to the payment system. The early and aggressive lead of the long distance SACCOs in adopting the cashlite system has seen more than ten other SACCOs follow suit, as matatu owners move to streamline their revenue collections. 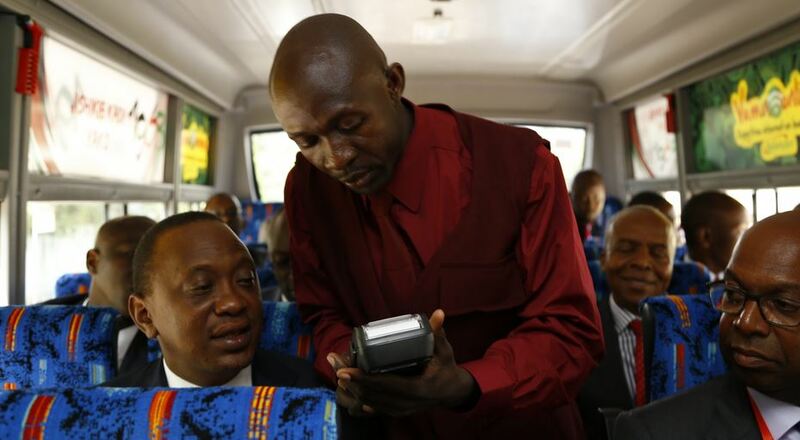 “After identifying the gap for a cashless fare system in the region, we met with Nakuru matatu SACCOs in December and educated them on the benefits of the cashless fare system and the role it plays in improving their business. The uptake, however, began much later, but has since been far more rapid than that of Nairobi,” said Mwakio Ngale, the 1963 General Manager. With approximately 10,000 registered cards in the county, the switch to the cashlite system in Nakuru is being driven mainly by the matatu owners and SACCOs. “Although the number of registered cards in Nakuru County is still lower than Nairobi, due to the wide population gap, there is consistency in how people are using the card and the uptake is now faster,” Ngale added. To educate customers in Nakuru, 1963 is employing two people in the registered SACCOs to act as activators, providing training for both customers and matatu staff, thus ensuring faster uptake. Currently passengers can use the 1963 card in all buses and matatus with the 1963 stickers within the county’s CBD.